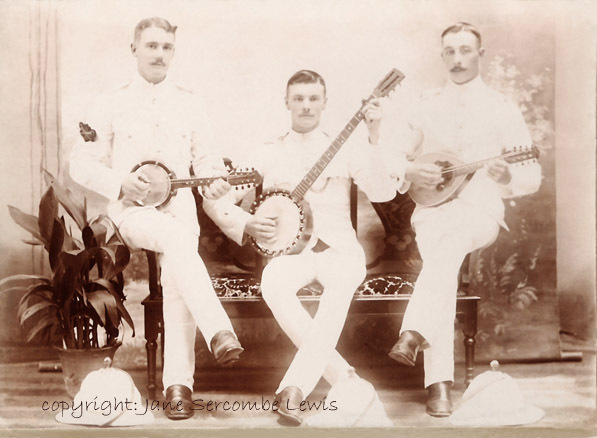 Taken in India c.1911, the figure on the right with a mandolin is James Tree (1887-1969), who was at the time serving in the British army with the 66th Battery Royal Field Artillery. James and the mandolin later survived the Battle of the Somme in 1918. The instrument was passed down through the family and appears in a portrait painting of his great-great niece Kezia Parkins [see the Portraits Gallery].